Feeling a bit unhappy today? Richard Carlson says that you shouldn’t be. You Can Be Happy No Matter What. Who Should Read “You Can Be Happy No Matter What”? And Why? There are already quite a few exceptional books about happiness and how to achieve it on the market, and, in a way, You Can Be Happy No Matter What offers very few new or different insights. 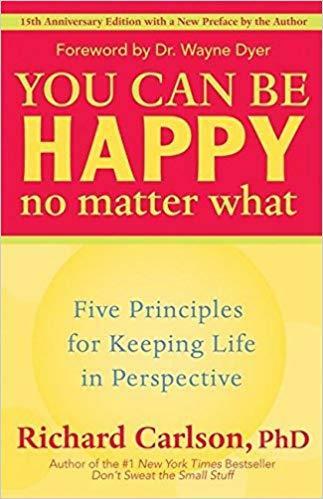 However, it is certainly a book you’d like to check out if you want to attain happiness: Carlson was both a psychotherapist and a pretty popular motivational speaker, so you’ve got nothing to lose. Especially since this is one of his top 3 books. Richard Carlson was an American psychotherapist, bestselling author, and motivational speaker. He became a nationwide celebrity about a decade after debuting with his first book: Don’t Sweat the Small Stuff…and It’s All Small Stuff topped both the USA Today’s and New York Times bestseller lists for about hundred weeks and ended up being translated into about 30 languages. Prolific author, Carlson wrote twenty books before passing suddenly while on tour, in the 46th year of his life. 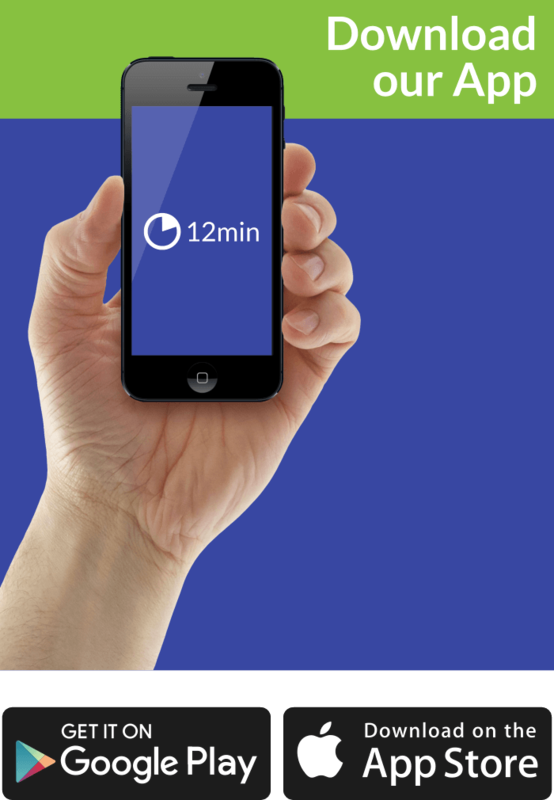 Be sure to check out our summaries for Slowing Down to the Speed of Life and Stop Thinking, Start Living as well. Put simply, we are thinking creatures – that’s why biologists refer to our species as homo sapiens – but, unfortunately, we don’t always think the way we should be; had we the power to do that, then we would have been much happier. He explains them in detail in the first part of the book; since this is the far more important segment, we’ll dedicate our attention in the summary below almost exclusively to this part. In the second five-chapter part (appropriately titled “Applying the Principles”), Carlson gives a few examples on how to employ the knowledge from the first part in real-life situations; the subjects covered here are relationships, stress, solving problems, happiness, and health and addictions. If you are like most of the people, you probably believe that your life is just a series of misfortunate events interspersed with brief periods of happiness – and not the other way around. Let us rephrase that so you can understand it better. You are born and created to be happy, filled with inner peace, satisfaction, curiosity, affection, and feelings of gratitude for the ones you love and are loved by. If you don’t believe us, just have a look at absolutely any child playing a game, and you’ll understand what this actually means. However, you spend a large part of your life learning and acquiring behaviors and habits which hinder your chance at happiness. Well, by simply hacking your brain into thinking that it’s in a constant struggle and should be constantly aware of it. The result is a more meaningful and beautiful experience of life. If permanent happiness is not something which comes from the outside (aka it is not something you’ll attain after solving some problems or, say, getting that job you want), it is only natural that the inside-out change of perspective starts and ends with your mind, the alpha and omega of your body. It is a storage vault for information and past experience, and is also a transmitter for wisdom and common sense. The storage vault, or ‘computer,’ part of your brain is used to analyze, compare, relate facts, and make computations. The value of this component is clear: without it, we couldn’t survive. The other part of the brain, the ‘transmitter’ that we each have access to, is the part that deals with matters of the heart — where computer information is insufficient. It is our transmitter mind, not our computer mind, that is the source of our contentment, joy, and wisdom. You can already sense the problem: computers are not only impractical but virtually useless if you want to find an answer to some of the biggest questions in life. Because in cases such as, say, marriage or relationship problems, we usually don’t have all the variables, and computers are incapable of taking a leap of faith. Let’s put it this way: the computer part of your brain is memory-based; the transmitter part is insight-based. Which one of the two you’d use to solve a new problem if you had a choice? So, to sum up, your mind can either work for or against you; the computer part is helpful in many cases, but it is unwise to use it in all situations and circumstances. However, since you have done this for years, you’ve already created an impermeable layer beneath which your inherent happiness struggles for breath in the transmitter part of your mind. Reaching it will make your life less complicated and your problems more trivial, allowing you to be more lighthearted and easygoing. And the best way to do this is to begin understanding your transmitter mind, the source of these deep, positive feelings. Carlson’s five principles should help you. The first four of these are based on a series of psychological principles originally formulated by Rick Suarez and Roger Mills in their 1987 book Sanity, Insanity, and Common Sense; the fifth – and we’re pretty sure you already now that one – is addition by Carlson. Let’s go over them in-depth. According to Carlson, be it positive or negative, most of our feelings are a direct consequence of our modes of thinking. It may seem strange to grasp such a notion, but think of it this way: the same event may affect ten different people in at least as many different ways. Because each of them experiences these events within himself or herself in a different manner; the difference, naturally, stems from the ways our minds filter and analyze them. Thinking is a voluntary process, meaning, as a famous German song says, the thoughts are free. Depressive people allow their negative thoughts to imprison them, unaware of the fact that they are the ones who produce them and can, consequently, outlaw them. But this is true for everybody. Your thoughts are your own, but they are not what makes you; you can control them and change them at will. Thoughts do not represent reality: it’s not like you must analyze the information “I spilled coffee over my pants” as an instigator of rage and disappointment; you can just accept it an interpret it in thousands of different ways. In fact, this is what gives us such a variety among people: some are calm, others angry, yet a third group disinterested. Use this power to your benefit. Sometimes you’re in high spirits, other times you just want to lie in your bed, binge-watch a TV show and eat some ice-cream. In either case, what’s changing is not your life or reality – but your mood; sometimes, just when everything seems so perfect, your mood levels drop and life suddenly seems unbearable; other times, life is hopeless, but then a mood shift brings the butterflies and the rainbows. In high moods, things don’t feel so hard, problems seem less formidable and easier to solve. In a high mood, relationships flow easily and communication is easy and graceful. In low moods, life looks unbearably serious and hard. You have little perspective; it seems as if people are out to get you. Life seems to be all about you. You take things personally and often misinterpret those around you. These characteristics of moods are universal. They are true for everyone. There isn’t a person alive who is happy, fun to be around, and easygoing in a low mood, or who can stay bummed out, defensive, angry, and stubborn in a high mood. You know what they say: no two human beings are the same. And you know why is that? Because everyone’s thinking mode produces a very unique frame of reference; as we said introducing the first principle, the very same event can be interpreted in numerous different ways by different people; multiple that by thousand, and you realize how different and varying worldviews can be. You spend a lot of energy trying to change someone else’s opinions and beliefs; and chances are, within his/her frame of reference, the things you say echo in unpredictable manners and eventually end up meaning things you won’t understand. Stop trying to change others. The better way is just to accept the fact that everyone lives in a separate interpretation of reality and to open your heart and mind to other people’s visions of the world around you. That’s what makes growth and compromise possible, and that’s what humanity is all about. Our feelings tell us, with complete accuracy, when our thinking is dysfunctional. When we are not aware we are thinking, our thoughts are generated through the thought system, instead of through healthy functioning. If it were not for our feelings, we would never know when we were caught up in our thought systems or when we were in a low mood. We would be convinced that we were seeing life realistically, even in our lowest states of mind. In other words, anger, jealousy, resentment, greed, depression – these are all just signs that you’ve wandered off your healthy psychological functioning. If you don’t stop the car and see what’s wrong with it, you may run out of gas or realize that your breaks are not working at the next bend. But then – it might be too late. The wisdom behind this advice is too simple to require an analysis: all you have is the present moment; everything else is just an illusion – even if it is the past. If you allow your mind to wander off too often, you’ll entrap yourself within illusions; a mind that is not living in the moment is a mind perfectly prepared for a whirlwind of worries and regrets. On the other hand, a mind that is living in the moment is a mind in which contentment, satisfaction, and happiness are not just possible, but a natural state of existence. You Can Be Happy No Matter What is not Richard Carlson’s best book – that has to be, surely, Don’t Sweat Over the Small Stuff – but it’s up there with Slowing Down to the Speed of Life and Stop Thinking, Start Living. Worth a check – if not a more dedicated reading.